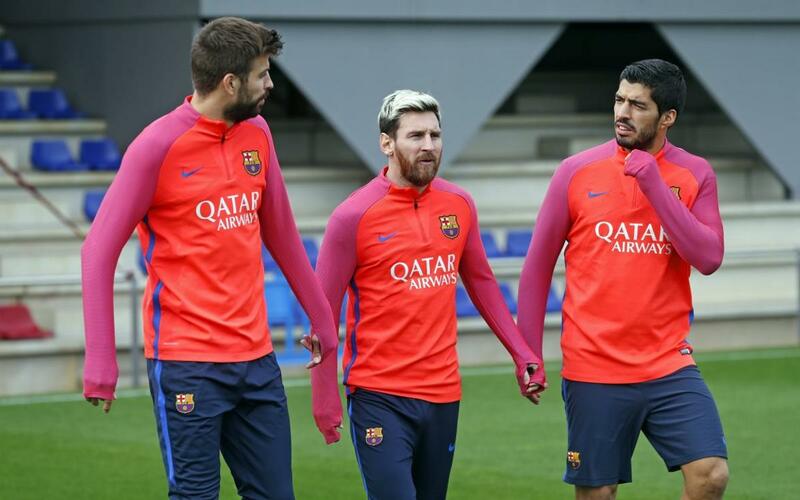 On Monday morning, the available members of the FC Barcelona first team were on the Tito Vilanova field at the Ciutat Esportiva Joan Gamper for the latest training session ahead of this week high profile Champions League clash with Manchester City. They were also joined by Wilfrid Kaptoum of Barça B. The Wednesday 8.45pm CET kick-off against the side coached by old friend Pep Guardiola will be third in the group stage of the competition. Barça currently lead the way with the full six points, while City are second after drawing at Celtic.